Mr. 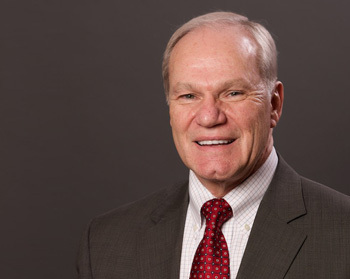 Sheets began his career in the investment business in 1969 and used the experience he gained from many areas of the investment field to help co-found and develop Sheets Smith Wealth Management into a broadly qualified wealth management firm. He has served on the Board of Directors of selected private companies in which clients have invested, including being Chairman of the Board of a family owned real estate business. Prior to the formation of SSWM in 1982, Mr. Sheets was Vice President and Manager of the Capital Management Department of Wachovia Bank and Trust in Winston-Salem, which provided financial, tax and investment counsel to some of the bank's wealthiest clients. John received a Bachelor of Science degree in Business Administration from the University of Delaware and attended graduate school at University of North Carolina at Greensboro. John holds the Certified Financial Planner™ (CFP)® designation. John served in the U.S. Army and U.S. Army Reserves holding the rank of Captain prior to being discharged. He is an Eagle Scout and has served as an assistant scoutmaster. Additionally, he has coached youth soccer and basketball and served as a financial advisor to his local church. John and his wife Patty live in the Lake Norman area and enjoy lake activities with their children and eight grandchildren.